Jennivere L. Kenlon, a commercial real estate attorney with a nationwide practice, has joined Giordano, Halleran & Ciesla, P.C., as a shareholder. Kenlon handles the full life cycle of complex commercial real estate and development transactions. Her practice encompasses all aspects of the purchase, sale, development, financing, management and leasing of commercial, office, retail, mixed-use, hotel, medical/research, industrial and warehouse properties. Kenlon also brings significant experience in structuring joint ventures often used in connection with real estate matters. She is a member of the firm's Real Estate, Redevelopment and Planned Real Estate Development practice group. She represents private equity and institutional investors, property owners, developers, and family partnerships in significant commercial real estate transactions and leasing matters, as well as in the structuring of joint venture equity and development transactions. Kenlon provides guidance on real estate issues pertaining to common-interest communities, including the structuring and documentation of master declarations, reciprocal easement agreements, property owners’ associations and management agreements. She has advised clients on more than $1 billion in debt financings and equity raises for projects nationwide. In addition, she advises on entity formation, restructuring, and corporate and governance matters. Previously, she practiced real estate at both regional and international law firms. “Jennivere has a broad background in shepherding clients through complex real estate and finance related matters. 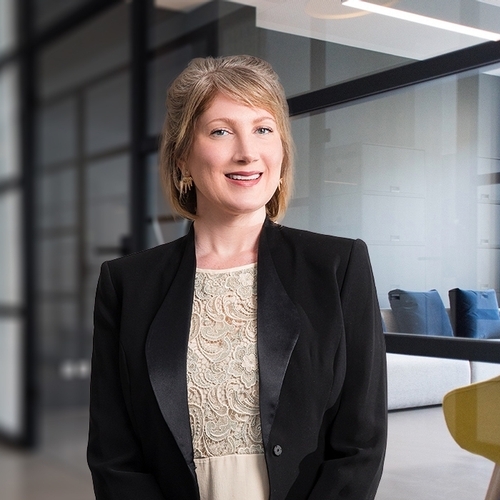 Her significant experience is a tremendous asset to our firm and we are excited to add Jennivere to our team,” said Michael A. Bruno, co-chair of the firm’s Real Estate, Redevelopment and Planned Real Estate Department. Kenlon is active in a wide range of professional organizations, including as a member of CREW (Commercial Real Estate Women) NJ and its Marketing and PR Committee; the New York State Bar Association and its Committee on Women in the Law; and the Board of Trustees of Court Appointed Special Advocates for Children of Monmouth County, Inc. (CASA). Kenlon earned her J.D. from Fordham University School of Law in 2007 and her B.A. from Carnegie Mellon University in 1999. She is admitted to the bars of New Jersey and New York.